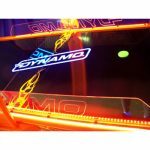 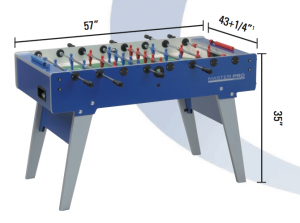 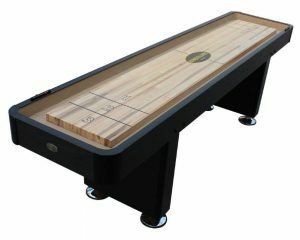 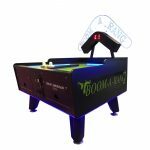 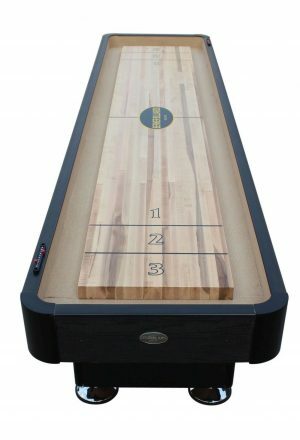 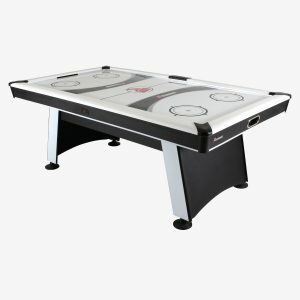 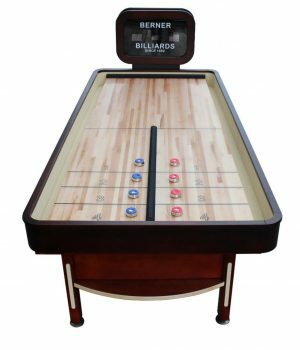 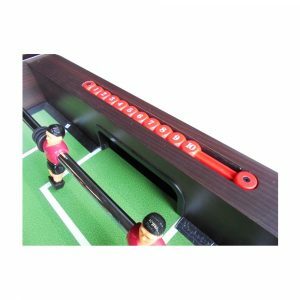 Bring the arcade experience home – literally – with the Dynamo 8 ft. Firestorm Air Hockey Table. 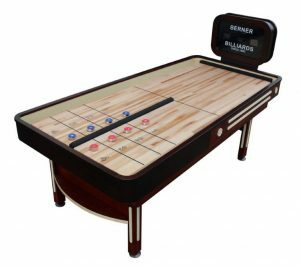 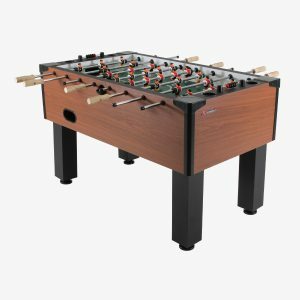 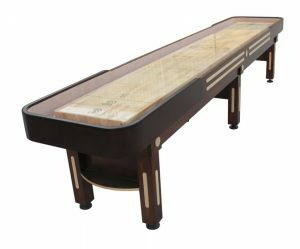 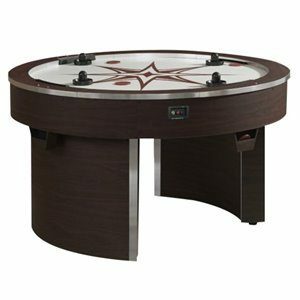 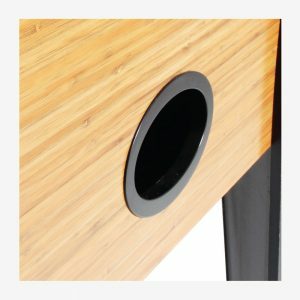 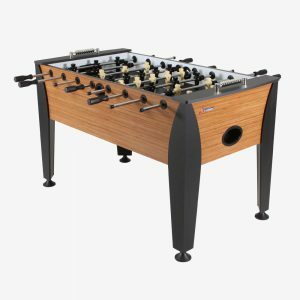 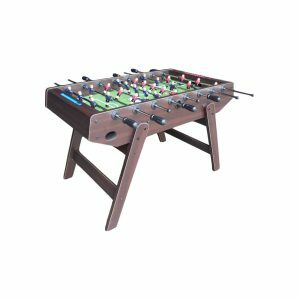 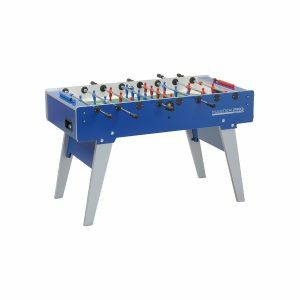 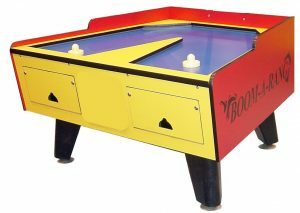 This table, the same you’ve seen in your favorite game spot, is the perfect way to liven up a boring rec room or basement. 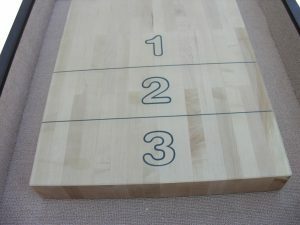 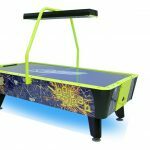 A full-size air hockey table with interactive lights, electronic overhead scoring, voice and sound effects, and more sits inside a brightly colored body. 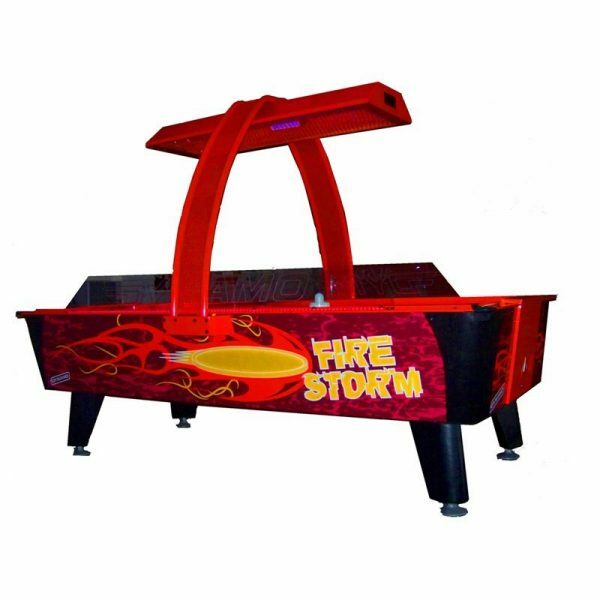 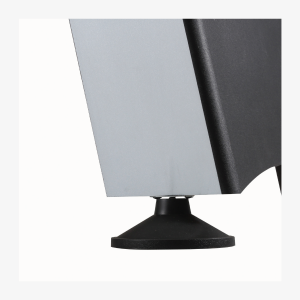 You’ll get commercial-quality features like a powerful DynaBlast blower, protective side rail shields, and heavy-duty, no-shake legs. 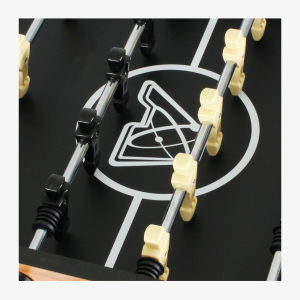 The game’s on at your house, now!